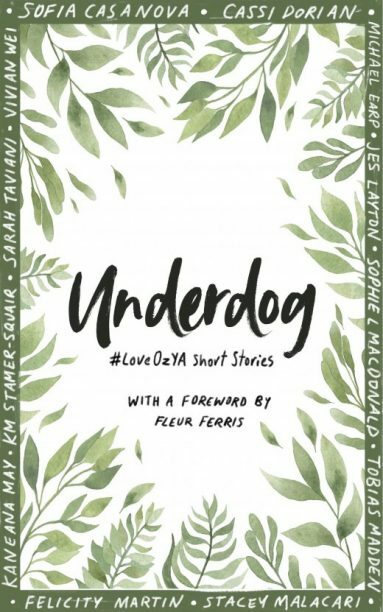 Following the success of its predecessor Begin, End, Begin: A #LoveOzYA Anthology, new anthology Underdog celebrates up-and-coming writers of Australian young adult fiction, with submissions received via an open call-out. The collection features twelve new writers, including its editor Tobias Madden and assistant editor Sarah Taviana. Underdog showcases a variety of genres, themes, and tones: from the dark dystopia of Stacey Malacari’s ‘The Bees’, to the humorous exploration of sub-par superpowers in Taviana’s ‘Mediocre Heroes’, to the contemporary dilemma of how to find a weed dealer in Jes Layton’s ‘Chemical Expressions’. The collection begins strong, opening with a sweet (and queer) literary meet-cute by Michael Earp; Sophie L Macdonald’s creepy tale of a bunyip in ‘Breathe Me In’ will have your hair standing on end; and Vivian Wei’s vivid account of food and grief in ‘The Chinese Menu for the Afterlife’ will leave you hungry for more. Themes of mental health are recurrent across the collection, as is representation from across the LGBT communities. At points the collection falters, with some pieces falling into trope-filled plots and cliched endings. However, with 12 stories to choose from, there’ll be something of interest for every YA reader. With many pieces bordering on new adult, Underdog is best suited to older YA readers (16+).